In his 1988 Louis H. Jordan Lectures, later published as Drudgery Divine, Jonathan Z. Smith argued that studies of early Christianity were hopelessly mired in confessional apologetics. Narrowing in on the study of Hellenistic Mystery Religions, he observed that Protestants were eager to critique the pagan rites, believing the “pure” religion of Paul to have been corrupted by Romish pomp and ritual. Likewise, Unitarian and Rationalist scholars, in an attempt to get at the Protestants, fingered Paul for introducing “Hellenism” into the rustic parables of Jesus. The Catholics defended all of it. To Smith’s account we could add “radical” Christian treatments of early Christianity which have multiplied in recent years. Alistair Sykes, Andy Alexis-Baker, Alan Kreider, Everett Ferguson (to name a few) have described an early Christianity which looks an awfully lot like ana/baptist communities: nonviolent ethic, gathered-church ecclesiology, believers’ baptism, and (for Ferguson) acapella congregational singing. These scholars are not inventing things, but they are calling attention to areas neglected by earlier scholars, in the process revising the story of the earliest Christians to embrace their own traditions. For some, the adjective “evil” is necessarily entailed in the concept of “empire.” Not so, argues Peter Leithart, who is compelling, provocative, and insightful as always. Why do we need a more complex account of empire? In part, Leithart argues, the historical reality is that all empires are living and therefore not static and not all identical. We also need a nuanced account of empire because the Bible does not treat historical empires with a one-size fits all lens. Furthermore, Leithart contends, “imperial ambitions and concepts were ‘reinscribed’—or better, always already inscribed—at the heart of Jesus’ teaching” (37). In other words, if we purge the concept of empire from the Bible, we would purge the core of Jesus’ life and message: the imperium of God is at hand. Leithart contrasts God’s Abrahamic empire with both Babels—empires that attempt to impose uniformity on other nations—and beasts—empires that devour the saints and drink their blood. The book is divided into three sections. In part 1, Leithart uses three metaphors for Scripture’s analysis of various empires—rod (Isa 10), refuge for God’s people (Dan 2), and beast (Dan 7). Leithart’s concise overview would serve as a great introduction to the theopolitical nature of the biblical text. Leithart’s attentiveness to the craft and art of biblical and theological exegesis is a delight. When Technologies Take on a Life of Their Own. In an age of iPads, digital uploads, drone surveillance, and debates over the limits of the Internet, the question of whether or not “technology” is an unlimited good remains an open question. Proponents of the most recent iteration of the technology revolution will decry the naysayers as “Luddites”, while the inheritors of Wendell Berry and Jacques Ellul will continue to remain suspicious of technology’s pervasive effects within society, and (more perniciously) over against society. As Wendell Berry has argued, technology may be an aid to communal life, or it can destroy it; the latter use of technological advances–the use of arrows in Genghis Kahn’s conquest of Asia, or the use of gunpowder to colonize Africa–remains the dark side of technological advances. This last point–the relationship between technology and the subjugation of people is the subject of Daniel Headrick’s Power over Peoples: Technology, Environments, and Western Imperialism, 1400 to the Present, in which we are presented with an account of western imperialism, and its relationship to technology. Headrick notes that the common assumption is that imperialist cultures flourish because they are able to make use of superior technology. Such a narrative is too facile, Headrick argues, for it assumes that superior manipulation of natural elements (technology) always results in a successful conquest. 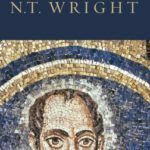 Two New Books on Scripture and Empire. in the Bible and Beyond. Colossians Remixed: Subverting the Empire. Brian Walsh and Sylvia Keesmaat. How has the interaction between religion, rhetoric, and politics shaped people’s lives over the centuries? Examining the relationship between religious discourse and empire-building, Horsley describes how religion is constructed by the power elite; the role it plays in resistance movements among subjugated people; and how it is used to legitimize empire. 151 pages, softcover from Fortress. In response to the 2002 foreign policy directive that changed America’s national security strategy, a denominationally diverse group (Mennonite, Catholic, Congregational, Catholic) of theologians, theorists, scholars, and pastors addresses the transnational nature of the church, loving neighbors in a globalized world, the use of Scripture in imperial rhetoric, and more. 218 pages, softcover from Brazos. A new kind of politically concerned evangelical is emerging, somewhere between hard-right Republicans and far-left Democrats. “Red-Letter Christians” seek to live out Jesus’ words—the ones printed in red in many New Testaments. Examining the hot-button issues facing believers today, Campolo calls us to transcend partisan squabbles—and bring Christ’s radical message to our civic commitments. 224 pages, hardcover from Regal. and Why They Always Fall . and Why They Always Fall. By their very nature, empires can never be – and never were – humane, liberal, or tolerant. Would-be Caesars throughout history sought glory, land, and, most important, plunder. This true nature of empire was more obvious in pre-modern times when it was unnecessary to disguise such base motives. In recent centuries, however, imperial conquerors have tried to hide their naked self-interest by promising to rule for the good of their subjects. This was and always will be a cynical and hypocritical canard. Empire has never been more than naked self-interest masquerading as virtue. Those Who Built Them, Those Who Endured Them, and Why They Always Fall .